I finished the last of the coffee Klund roasted. Good stuff. 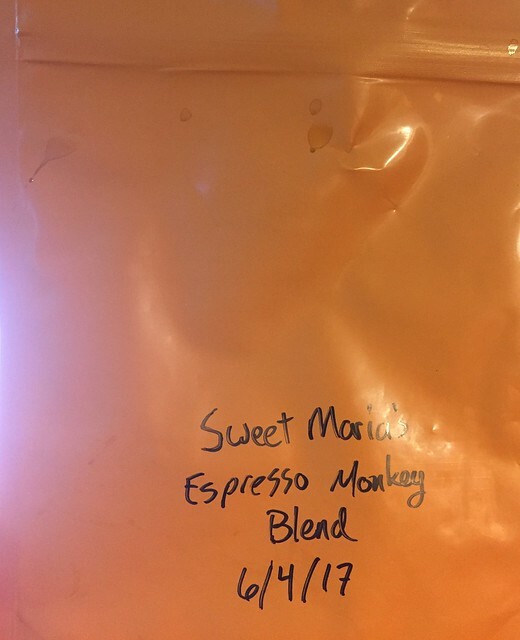 He called it Sweet Maria's Espresso Monkey for reasons I can't intuit. Little lighter than I usually drink, but also much more flavorful than what I usually drink.